One of the finest projects we have ever had the privilege to be a part of. 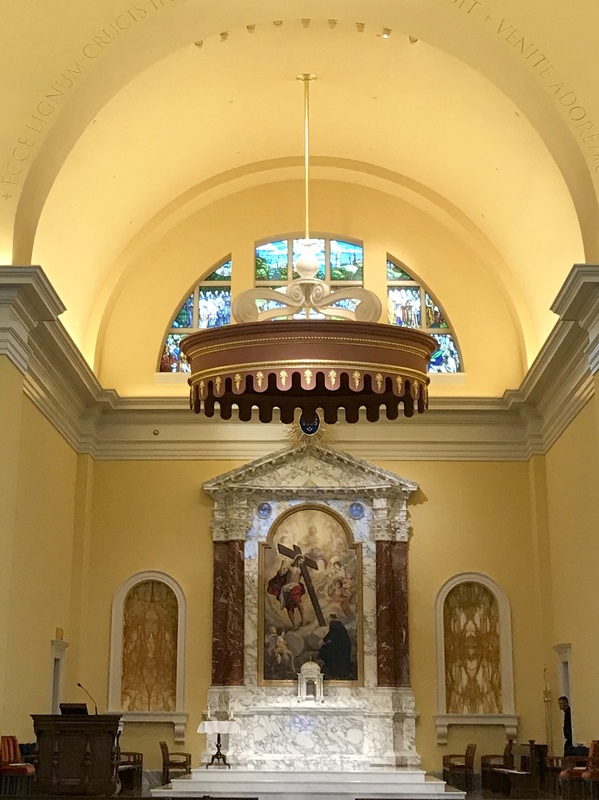 With 4 foot wide crown molding, a painted cupola over 90 feet above the floor, and beautiful faux finishes, this project was a great opportunity to demonstrate our commitment to quality. The quality of our work was such that Merit was one of only 3 subcontractors invited to the dedication of the Chapel by Bishop Michael Barber. It was a blessing to be involved in the construction of this beautiful house of worship. We are very grateful to Father Richard Hermes, of Jesuit High School, and Batson Cook Construction for giving us the opportunity to be of service.